Alright friends, it’s time for a remix! I haven’t done one in a while so I’m extra excited for today’s post. 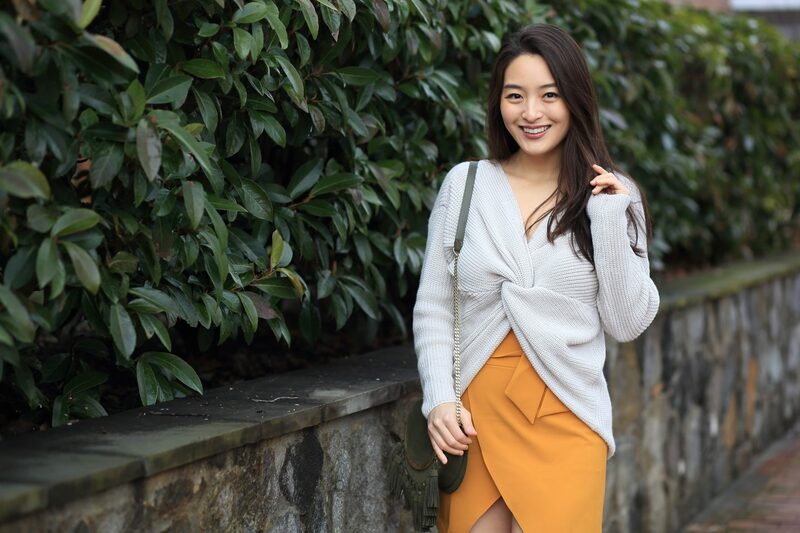 I featured this adorable mustard skirt as a “find of the day” a while back – I was oozing all sorts of girly vibes so I decided to go with something a bit more casual and comfortable. I paired my mini with a beige cropped sweater for a girl next door feel but threw on tall snakeskin boots to style things up a bit. To finish the look off, I carried my new fringe crossbody bag from Zara. I purchased quite a few bags there during a winter blowout sale a while back, and I can’t wait to feature the other designs on here. For today’s LOTD, I went with a neutral color scheme to let my skirt’s mustard hue shine through. What do you guys think of this look compared to the first one I styled a while back? Definitely let me know what your preference is below. Alright guys, that’s it for today. I’m keeping things short and sweet because I’m tired AF. A huge thanks to Sung Shin for the amazing photography as always! And for those of you interested, you can see more of my outfit remixes here on this tab. PS. remember to check back every Monday & Thursday for new content, friends. Sending you all positive vibes from the DMV! I love the skirt, the colour is super pretty and the fit and style are really flattering. I like how you paired it with the boots, they look great together.